Learn how to start and scale drone operations in your organization with Brasfield & Gorrie, one of the largest privately-held construction firms in the United States. Brasfield & Gorrie have seen first-hand the potential for drones in construction as well as the unquestionable ROI they bring. They are well on their way to scaling their drone program across their sites. How they set up safe, efficient and compliant operations. Best practices for flying construction job site and making detailed and accurate maps and 3D models. Examples of how they have integrated drone mapping with Building Information Modeling (BIM), showcasing specific projects. 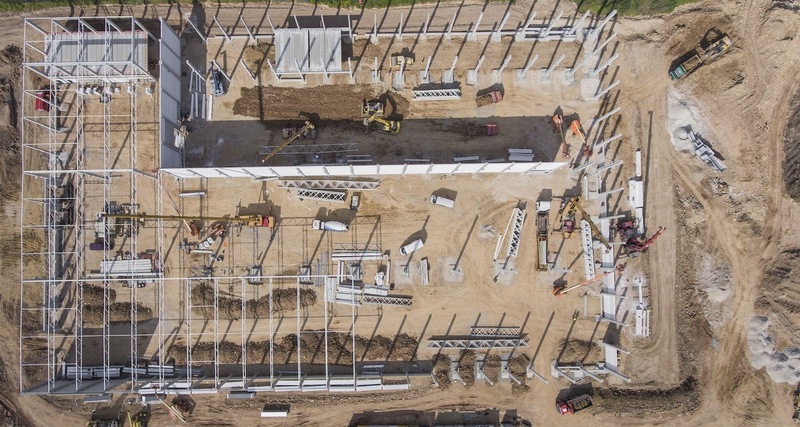 The value and ROI of Drones in Construction. The recording is 60 minutes in length and includes 15 minutes extra time for questions. Hunter Cole is currently a member of the Innovation and Operational Technology team at Brasfield & Gorrie, one of the US’s largest privately held construction firms. 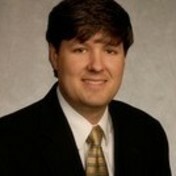 He has a significant role in growing and scaling Brasfield & Gorrie’s drone operations. 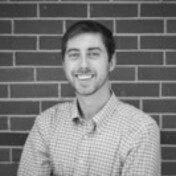 Russ is the Regional Director of Virtual Design + Construction for Brasfield & Gorrie. An architect by trade, Russ is passionate about streamlining communication and increasing efficiency and quality in the construction industry. By working early on with design teams and establishing collaborative workflows, he has the ability to bring project teams together around a common goal using Building Information Modeling (BIM. Russ is passionate about understanding the processes and workflows of BIM and exploring how those processes can be applied throughout the AEC industry. 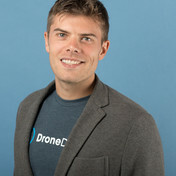 Jono Millin is the co-founder and CCO of DroneDeploy, where he is responsible for the overall customer experience of the DroneDeploy platform. Millin completed his undergraduate degree in Computer Science, Information Systems and Applied Maths at Rhodes University before moving to the UK to obtain an MSc in Artificial Intelligence, and 2/3 of a PhD in Machine Learning from the University of Edinburgh. When not playing with flying robots and computers, Jono can be found rock climbing or playing squash.